In stock! We have 20 of these ready for immediate dispatch or more available on demand. 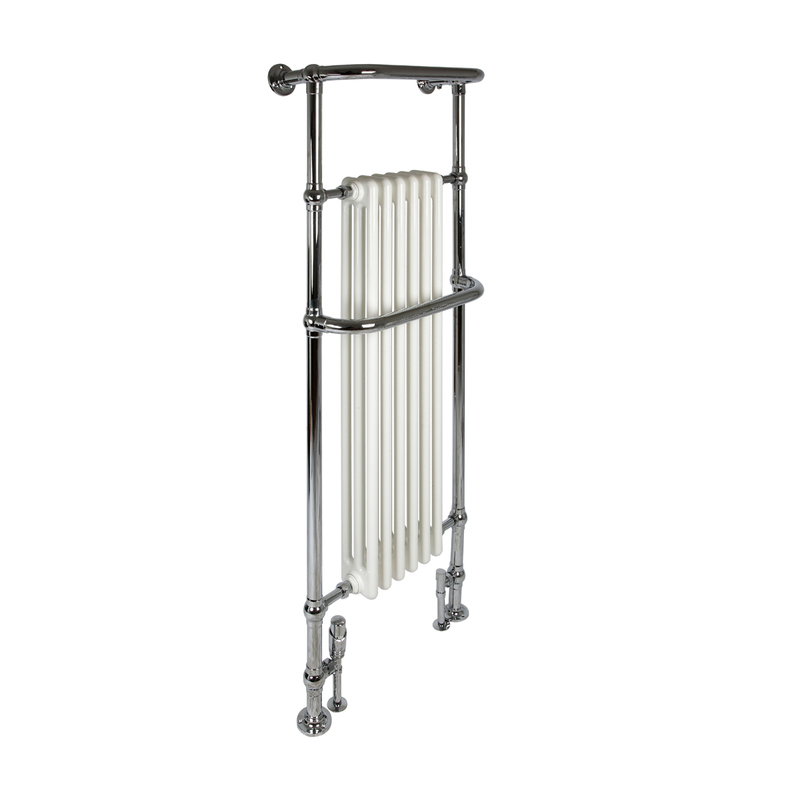 Tall and slim radiator with two horizontal towel bars. Perfect for medium sized bathrooms. Made in Europe with a 10 year guarantee. Superior build quality tall bathroom radiator and towel warmer. Chrome plated frame with white tubular steel. Made in Europe to ISO 9001:2008 and EN442. Use on its own to heat medium sized bathrooms or together with a cast iron radiator to heat larger spaces.